My 64G flash drive went RAW and TestDisk said No partition available. My 64G flash drive accidental went RAW during using. 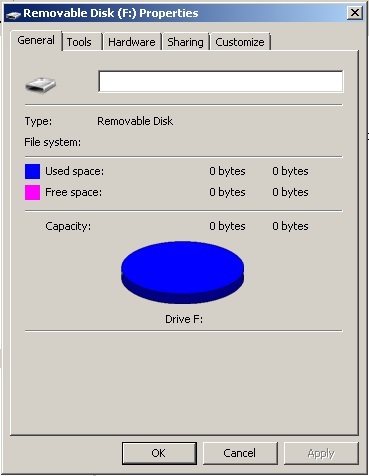 When I run testdisk-7.0 (32-bit), it said No partition available. When I checked my flash drive. After deepscan and press enter. So I quit and re-run testdisk. This is the massage when I press analyze. And when I run deepscan. What can I do? Is it possible for me to recovery my flash drive? Thank you for any suggestion. You searched a partition inside your partition F:, it's useless. Start TestDisk, select the PhysicalDrive1, Advanced, select your partition, Boot, RebuildBS, List. If it doesn't work, use PhotoRec. Re: My 64G flash drive went RAW and TestDisk said No partition available. After I posted the question, I try "testdisk-7.1-WIP.win32" and it's work!!! Really appreciated for your hard work.